Is to simply become the household brand in our region with respect to marine fiberglass and gel coat repairs. This will be accomplished by expanding on our existing relationships with local dealers and by continuing to provide a value added service. Our free pickups & deliveries is a competitive advantage, but our level of care for our clients, our reliability and unmatched pricing is what truly sets us apart. 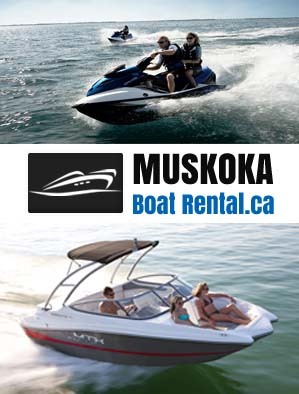 For over a decade we have been operating Northern Lakes Marine, a watercraft rental company that services all of Muskoka, Ontario. In 2001, NLM began operating with just two personal watercrafts; today NLM boasts the largest fleet of watercrafts for rent in Ontario. What has made NLM a success to date are some very basic principals; First-Class Service, Premium Products & Unbeatable Prices. This recipe of success has surely been applied to Northern Lakes Boat Works as it aims to improve the competitive landscape for consumers and dealers alike. Northern Lakes Boat Works (NLBW) is located in Gravenhurst, Ontario and services all of Muskoka as well as the Orillia area with marine fibreglass and gelcoat repair. NLBW’s team of experienced techs have the ability to tackle any job, from small scratches to major accident claims. When you bring your watercraft to NLBW expect the best, each of our techs has been hand-picked based on their workmanship. Our head tech, himself has over 40 years of experience with watercraft cosmetic refinishing and was specifically recruited because of his skill set. Our owner, Ryan Mack handpicked David because “he is capable of completing what some companies would quote a 50 hour job in 25 hours and he leaves no trace of the repair.” He is the best and Ryan is proud to make his skill set available to the public and dealers alike. You see doing a better job in less time is a key factor of differentiation and these savings will enhance the customers experience as well as NLBW ‘s reputation. If your watercraft needs cosmetic or structural repairs, look no further as we have already done the research and bring you the best team of Gel tech’s to make your boat or pwc (sea-doo) like new again. Your watercraft will be kept in our gated compound, under 24 hour video surveillance which is broadcasted online, your watercraft will always be covered and work will be completed in our heated shop. Furthermore, when your watercraft has been completed, expect the repairs areas to be restored to factory condition; your watercraft will be fully detailed and ready for the water.